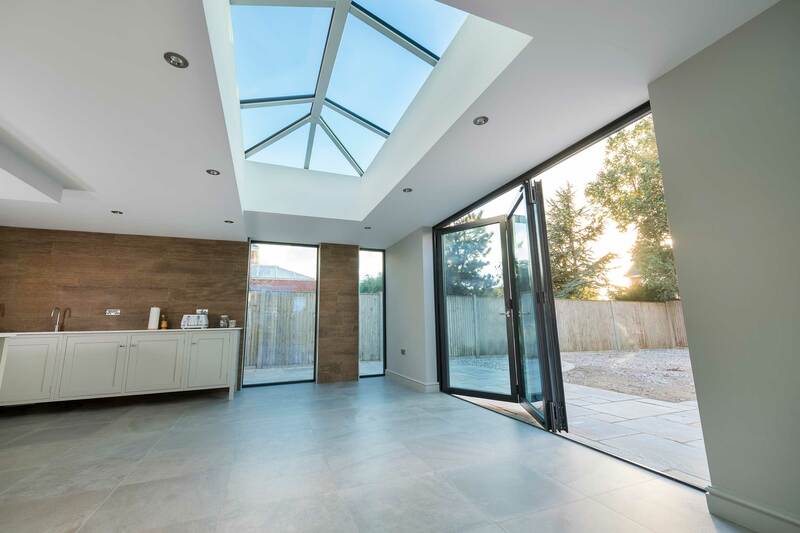 Redefine your home with Stratus – allows light to flood into your home’s interior, using an aluminium lantern roofing system, which is discreet yet stylish. COATED FINISHES, WITH A WHITE INTERIOR FINISH. FOR OPTIMUM LOOKS WIDTH X 1.5 / 2 /2.5 LENGTH ETC. The Stratus thermal roof lantern has the design flexibility to redefine your home. Create a sense of interior space with the addition of an aluminium roof lantern as the focal point of your room. Interject light in a way that can instantly lift the look and feel of your room with the simple addition of our aluminium roof lanterns. 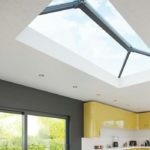 Whether you are looking to enhance the light in your living area, dining room or kitchen, the Stratus thermal roof lantern can support even the most creative ambitions. Add a touch of elegance to your room and enjoy thermally efficient, quality designed roof lanterns to provide an ultra-modern appeal to your home. Aluminium roof lanterns offer sleek contemporary looks to both the interior and exterior of your home. With their slim, minimalistic design modules, they combine excellent functionality and attractive aesthetics to create a truly spectacular finish to your roof. Perfect for the rooms in your home that are in the centre of the building with minimal or no windows at all. Stratus thermal roof lanterns can withstand even the most extreme conditions due to its aluminium profiling. Aluminium allows our roof lanterns to achieve an unbeatable lifespan that exceeds industry leading standards of durability. The Stratus thermal roof lantern is a worthwhile investment for your home. 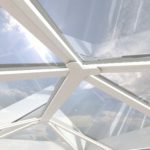 Take a look at our videos that show why the Stratus roof lantern is such an excellent choice. Why Choose Our Aluminium Roof Lanterns? A roof lantern adds a touch of luxury and elegance to any room, blending seamlessly with a range of different styled homes. Known for their enhanced thermal efficiency, aluminium roof lanterns trap warm air inside the property, preventing it from escaping. Increasing your homes energy efficiency also impacts a lower carbon footprint and reduced energy costs. Enhance your home with an increase of natural light, offering an illusion of additional space. Elevate the atmosphere of your home with this natural influx of light. Delivering outstanding aesthetics and market leading performances, the Stratus thermal roof lantern succeeds on all levels of quality. Aluminium roof lanterns create a stunning focal point to your home, perfect for entertaining guests in a dining area. Discover the natural sky of the sun shining in the summer months or allow the twinkly stars to embrace your home at night. 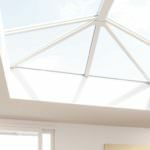 The addition of the Stratus thermal roof lanterns can create a different feeling in your home at all points of the day. Take a look at the brochure below which is available as a download. In this brochure you’ll find the technical specifications for the Stratus roof lantern. Add value to your home with the Stratus roof lantern. The lightweight and durable design of the Stratus lantern making the perfect addition for any room in your house. Available in 2 hardwearing exterior powder coated finishes, with a white interior finish, the Stratus lantern can suit all property styles. Providing an elegant sense of privacy in your home, while still maintaining an unlimited amount of natural light. The addition of a roof lantern is useful for homes in built up or urban areas or for rooms that require natural lightings, such as a dining area or office. As a highly sought after feature, they are most popular in conservatories, orangeries and extensions. With their long lasting strength and low maintenance design, the benefits of installing a roof lantern are limitless. Invite people to gravitate towards spending more time in this brightly lit space with the addition of a roof lantern. 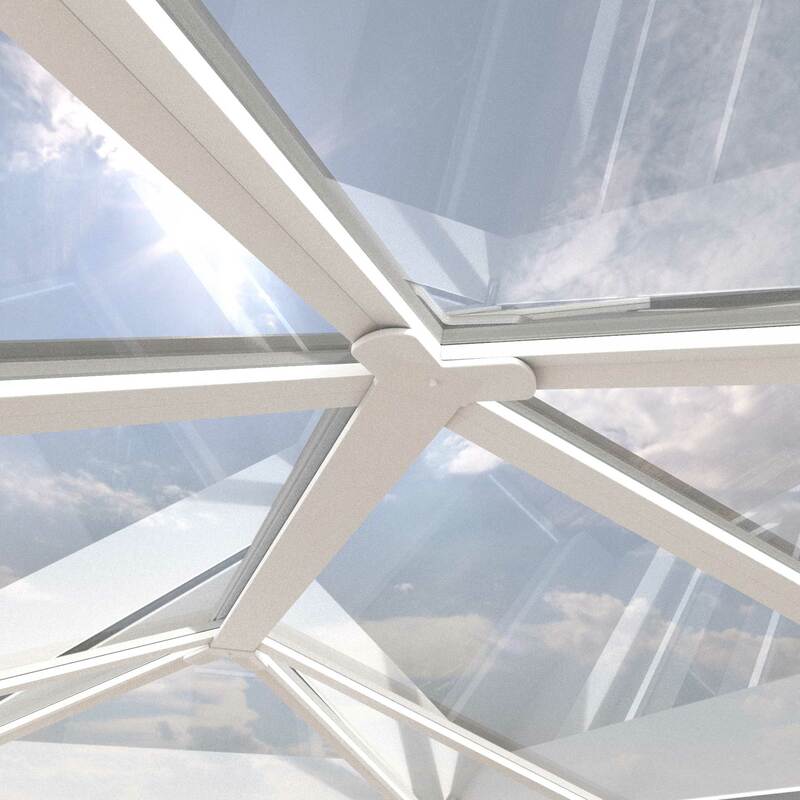 The Stratus roof lanterns have been intelligently designed with your home in mind. You can contact us today for a free quote for your Stratus roof lantern. Simply visit our contact page and fill out our online contact form. A member of our expert team will be able to answer any questions you may have. We are happy to recommend or advise on the most suitable products for your needs and requirements. 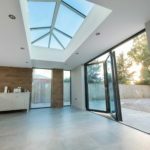 How weatherproof are roof lanterns? 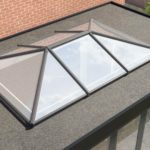 Roof lanterns are highly secure in a number of ways and weatherproofing is not an exception. With a sealed double glazed unit that is designed to keep the moisture out and the heat in, our roof lanterns are exceptionally weatherproof. 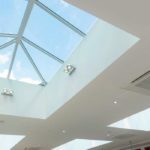 How secure are aluminium roof lanterns? Aluminium roof lanterns feature exceptionally high levels of security due to their aluminium profiling. Our roof lanterns are both robust and durable that make them a secure and safe option to add to your home. How many roof lantern design styles do you offer? 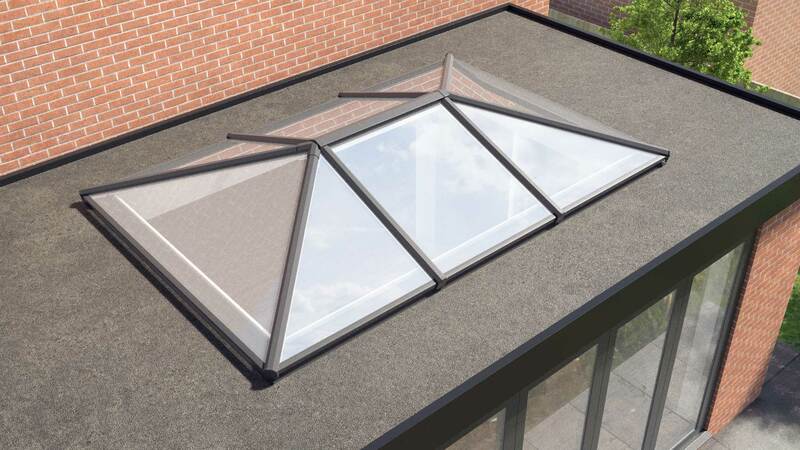 The Stratus thermal roof lantern comes in either a 3-way, 2-way or contemporary design models. The 3-way design is up to a maximum of 3000mm x 6000mm. The 2-way design is up to a maximum of 1500mm x 6000mm. The contemporary design is up to a maximum of 1500mm x 3000mm.